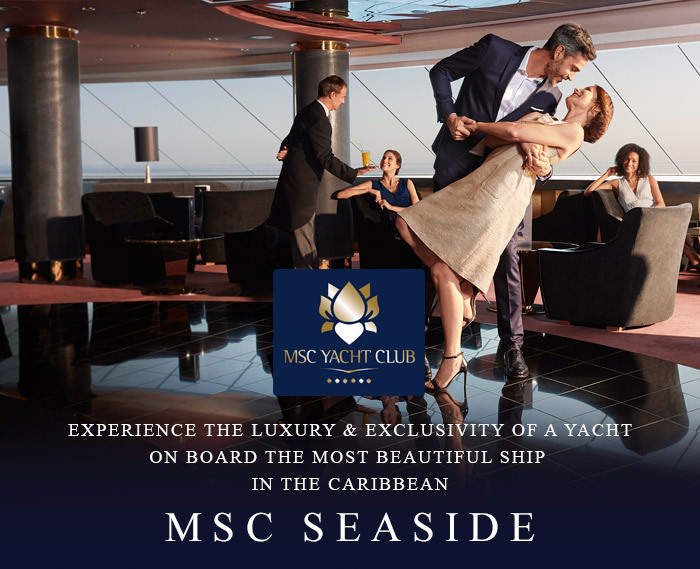 Escape to the Caribbean on MSC Seaside and indulge in the epitome of luxury and exclusivity as a guest of the MSC Yacht Club. Surrender your cares with 24-hour butler and concierge attention, and retreat to private lounges, pools, sun decks and other venues in the prestigious enclave of the ship. Dine on gourmet cuisine at your leisure in your elegant dedicated restaurant, and savor the wealth of amenities throughout the revolutionary MSC Seaside. *Rates are cruise only per person based on double occupancy (with the exception of FLA & FLP categories) and quoted in USD. Offer valid for U.S. & Canadian residents. Government fees and taxes (GFT) are additional for each guest. 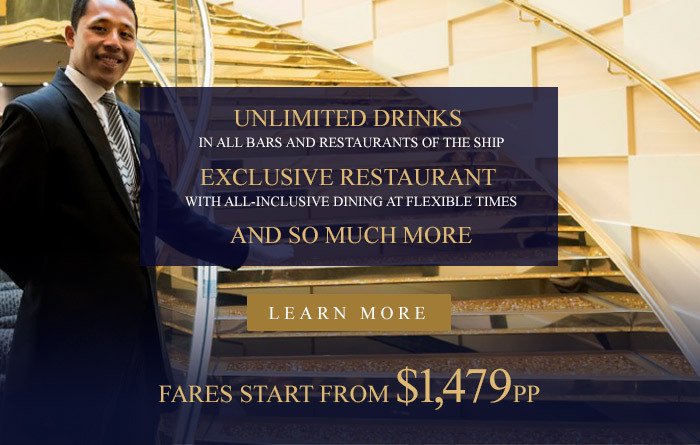 COMBINABLE DISCOUNTS: One (1) of the following discounts may be applied as applicable per stateroom: MSC Voyagers Club Discount; Military Discount; Interline Discount. Applicable to active and retired U.S. and Canadian military, civil service and interline personnel and their spouses, dependent children, parents, and parents-in-law. Qualifying guests must present an I.D.badge from their respective organization at time of booking. Offer is capacity-controlled, subject to availability, cannot be combined with any other discount or promotion and may be withdrawn without notice. MSC Cruises reserves the right to pass on any fuel surcharge without prior notice to all guests. MSC Cruises reserves the right to refuse to honor any prices/sailings that are erroneously printed or quoted. Other restrictions may apply.